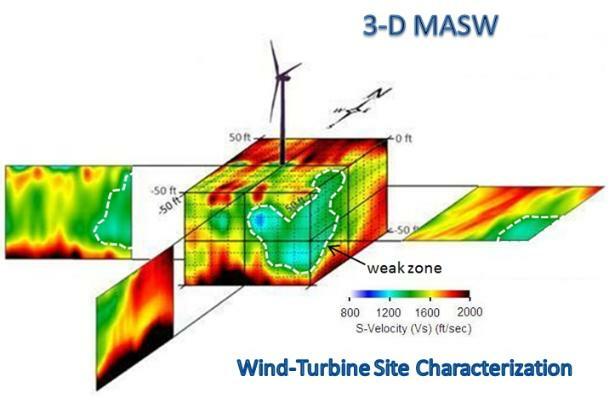 subsurface mapping of the stiffness in 1-D, 2-D, and 3-D formats. surface and shallow subsurface materials during road and building construction. It also includes the evaluation of grouting performance. 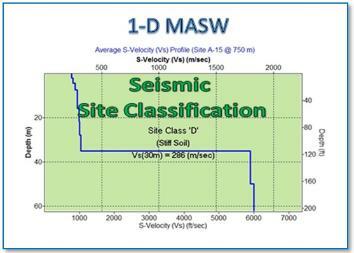 common 1-D (i.e., depth) application of MASW method.